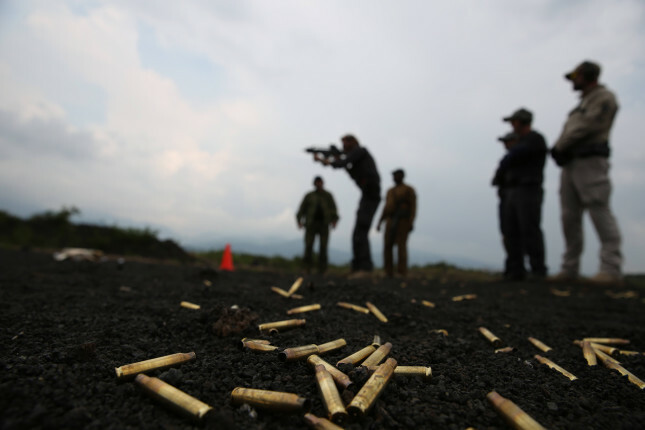 Photo Credit: The UN Organization Stabilization Mission in the Democratic Republic of Congo receives firearms training. UN Photo/Abel Kavanagh. The technology and infrastructure for the transition—including wind turbines, solar panels, and electric vehicles—depend on significant supplies of certain metals and minerals. For example, the World Bank estimates that demand for the minerals used in solar panels could increase by 300 percent by 2050, should the international community meet the goals established in the Paris Agreement. A new report by the International Institute for Sustainable Development (IISD), analyzes the supply chains for these metals and minerals–from who, where, and how they are obtained and processed—and the impacts on mineral-rich states. Green Conflict Minerals: The fuels of conflict in the transition to a low-carbon economy finds that significant reserves are located in states perceived to be both fragile and corrupt, and that their increased extraction is linked to local grievances, tensions, and—in the worst cases—violence. Approximately 56 percent of the world’s reserves of cobalt—which is critical to the development of electric vehicle batteries and green energy storage technologies–is found in states rated “very fragile” by the Fund for Peace. In addition, significant reserves of almost all of the 23 minerals critical to the low-carbon transition are found in states perceived to be corrupt, according to Transparency International’s Corruption Perceptions Index. 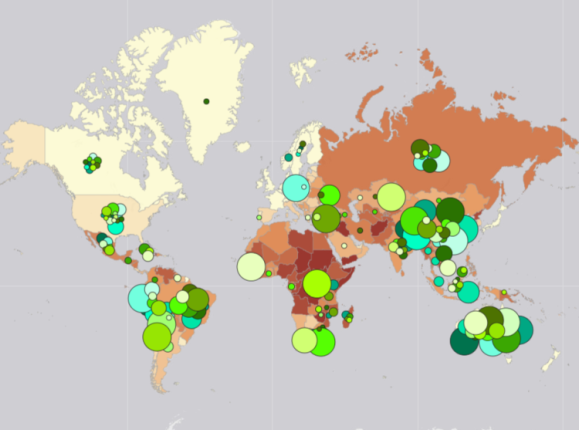 An interactive map in Green Conflict Minerals overlays strategic mineral reserves with fragility and corruption indicators to determine potential conflict hotspots in South America, sub-Saharan Africa, and Southeast Asia, among other locations. The report also analyses specific case studies within these hotspots and investigates existing mineral supply chain governance mechanisms. Global reserves of minerals required for green energy technologies overlaid with fragility and corruption measures. Source: Fund for Peace, 2018; Transparency International, 2017; U.S. Geological Survey, 2018. In the “Lithium Triangle”—the border region between Argentina, Chile, and Bolivia—conflicts have already broken out over water access, land control, and alleged encroachments by mining companies onto indigenous or protected lands. Since 2009, lithium mining in the Salar de Atacama, Chile’s largest salt flat, and the diversion of water for these operations have spurred public demonstrations. Similar grievances have arisen in Salar de Uyuni in Bolivia and the Argentine province of Catamarca. These cases demonstrate a lack of successful community engagement, leading to increased tensions over land and water rights. Cobalt extraction in the Democratic Republic of Congo (DRC) has been tied to some of the same exploitative and violent practices as seen in the mining of tin, tungsten, tantalum, and gold (3TG)—the most widely recognized “conflict minerals.” DRC has the world’s largest reserves of cobalt—an estimated 3,500,000 metric tons—that account for half of the global supply. Although this mineral wealth could drive sustainable development, some cobalt mines in southern DRC have been connected to child labor, dangerous working conditions, extortion, and human rights abuses. Supplies of both lithium and cobalt are projected to run short in the coming decades, driving competition and prices higher. But even minerals in ample supply can aggravate tensions and conflicts in mineral-rich states. Mining bauxite and aluminum oxide—which are critical to the development and deployment of solar panels, wind turbines, and energy storage technologies—has intensified conflicts in Guinea, despite a seemingly “inexhaustible” supply. Although bauxite has been mined in the Boké region of Guinea for 45 years, villagers living near the mines have received few benefits; instead, they have suffered the negative consequences, including increased food insecurity, water contamination, and health problems. Their grievances spurred multiple riots in September 2017. Conflicts—either existing or potential—are not the result of the minerals themselves; they are indicative of a failure to integrate best practices for responsible sourcing and transparency into mineral supply chains. The report’s case studies illustrate the real risks of tensions and conflicts emerging and continuing. Opaqueness along the steps in these minerals’ supply chains from extraction, through production, to end-of-life—presents a major obstacle to ensuring that the switch to green energies is conflict-free and supportive of local communities. Some of the building blocks needed to ensure responsible sourcing are either in place or starting to emerge. By expanding existing supply chain regulations beyond 3TG minerals, strong guidelines such as the OECD Due Diligence Guidance and responsive policies like the upcoming EU Conflict Minerals Regulation could serve as key entry points for mitigating related conflicts and grievances. Efforts should also be made to narrow the implementation gap for those countries–like the United States—who have conflict mineral regulations already in place, but are not enforcing reporting on them. Within the private sector, industry schemes like the Responsible Minerals Initiative provide a key launching point to improve the international governance of mineral supply chains. The International Finance Corporation’s Performance Standards on Environmental and Social Sustainability can be used to engage communities in a meaningful way across the mineral lifecycle. Finally, IISD’s report encourages the private sector, civil society groups, and governments to work together to ensure the benefits of the mining industry are shared equitably and transparently. To fulfil the global commitments of the Sustainable Development Goals and Paris Agreement, we need to transition to a low-carbon economy. The shift, however, must be conducted without undermining peace, justice, and strong institutions. By applying responsible sourcing best practices to all of the minerals critical for green energy technologies, this transition will not only improve the environment, but also the lives of local communities as well.